The essence of Gödel's incompleteness theorem is that you cannot have both completeness and consistency. A bold anthropomorphic conclusion is that there are three types of people; those that must have answers to everything; those that panic in the face of inconsistencies; and those that plod along taking the gaps of incompleteness as well as the clashes of inconsistencies in stride if they notice them at all, or else they succumb to the tragedy of the human condition. 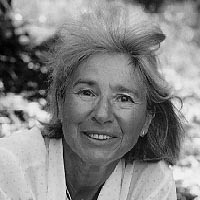 Verena Huber-Dyson, a Swiss national born in Naples in 1923, was educated in Athens before returning to Zurich to study mathematics (with minors in physics and philosophy). She moved to the United States in 1948, where she pursued her two particular areas of interest — group theory and formal logic. She got to know Kurt Gödel while living in Princeton, and for the last fifty years she has been actively encouraging a correct interpretation of his work. VERENA HUBER-DYSON is emeritus professor of the Philosophy department of the University of Calgary, Alberta Canada, where she taught graduate courses on the Foundations of Mathematics, the Philosophy and Methodology of the sciences. Before the Vietnam war she was an associate professor in the Mathematics department of the University of Illinois. She taught in the Mathematics department at the University of California in Berkeley. She is the author or a monograph, Gödel's theorems: a workbook on formalization, which is based on her experience of teaching graduate courses and seminars on mathematical logic, formalization and its limitations to mathematics, philosophy and interdisciplinary students at the Universities of Calgary, Zürich and Monash. She lives in Berkeley, California. (VERENA HUBER-DYSON): The essence of Gödel's incompleteness theorem is that you cannot have both completeness and consistency. A bold anthropomorphic conclusion is that there are three types of people; those that must have answers to everything; those that panic in the face of inconsistencies; and those that plod along taking the gaps of incompleteness as well as the clashes of inconsistencies in stride if they notice them at all, or else they succumb to the tragedy of the human condition. The first kind are prone to refer to authorities; religion, bureaucracy, governments and their own prejudices. They postulate a Supreme Being that knows all the answers because everything must have an answer. With inconsistencies they deal by hopping over them, brushing them aside, sweeping them under a rug, ignoring them or making fun of them. These people are unpredictable and exasperating to deal with, though often disarmingly charming. The second kind are the more heroic and independent thinkers. They are not afraid of vast expanses of the unknown; they forge ahead and rejoice over every new question opened up by questions answered. But when up against the walls of inconsistencies they go berserk. These claustrophobics are in fact the scientific minds. And then, finally, there are the ordinary humans who make do with both inconsistencies and gaps in their experience of life and the world. Some of those, when driven to the brink of endurance by roadblocks of paradox and pitfalls of the unknown, go mad.